Sew Can Do: Want Free Advertising? Join The Craftastic Monday Link Party! Want Free Advertising? 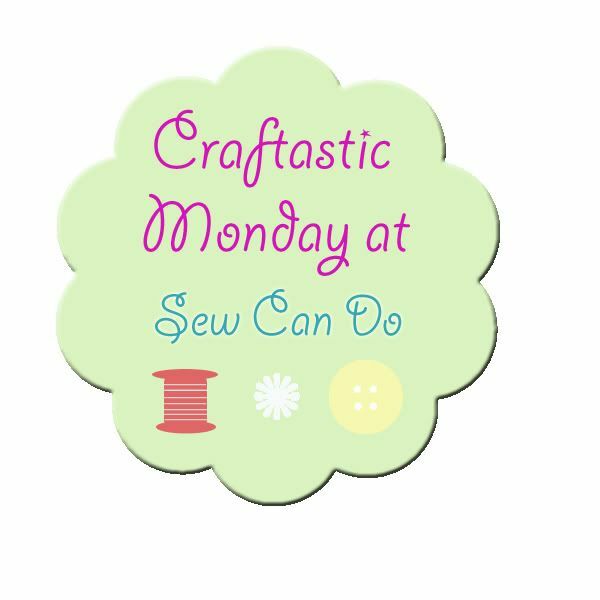 Join The Craftastic Monday Link Party! I hope all the moms out there have had a fantastic Mother's Day. I've been lucky enough to have a wonderful day:) Let's see if we can make this a great link-up week as well. Last week there were some really amazing projects posted, so keep up the good work! I also highly encourage you to comment below about your link and add the Craftastic party button to your post or sidebar so you can be considered for Craftastic Blog of the Week. In addition to getting a write-up about your blog, you get a week's worth of advertising here for FREE, so taking that extra second when you link up can really pay off! Baking With Blondie shared this delicious looking melonberry lemonade. I love the edible garnish too! What little girl wouldn't love this Tangled-inspired hair bow holder from Ordinary Magic? I love how cute & useful this is! Thanks for hosting, as usual! I am #5, sketchbook wallet and would love to be considered for Craftastic Blog of the Week. Happy Mother's Day! Thanks for hosting! Happy Mother's Day! Thank you for hosting. Hope you had a great Mother's day. Thank you for choosing my blog as the Craftastic Blog of the Week! What a great Mother's Day surprise! I hope that you had a great Mother's Day. Thank you for hosting. I really enjoy visiting your blog! Thanks for hosting. Happy Mother's Day! visiting from DearCreatives.com Have a great week! Thank you for hosting and for once again feautring one of my crafts! 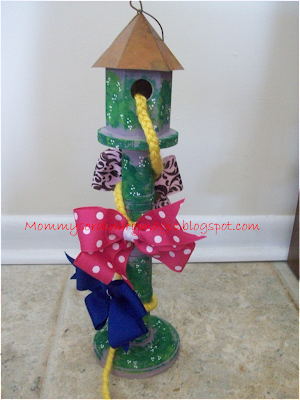 I'm the mommy over at Ordinary Magic and am so glad you liked my Tangled hairbow holder :) I added my homemade clock (#13 I think)this week that I made as a shower gift. I love your blog (and the fact you're a 'Michigan product' too!) and this is one of my favorite linky parties! Happy Mother's Day! Monica, you are so sweet! And Happy Mother's Day to you too. Thanks for sharing such a great project - I'm looking forward to the day my little girl has enough hair so we can have use for a hairbow holder here! Hi Cheryl, thanks for hosting, as always, I love to stop by and see what all are doing! I added a Front Porch Chalkboard Idea. :) Talk soon! Thanks for hosting Cheryl! I would love to be considered for blog of the week:D I linked up Anthropologie knock off vases (#42) and a jungle themed birthday cake (#125). Cheryl! Thank you so much for featuring my Melonberry Lemonade! I jumped when I saw my picture at the top of your page while visiting today! You're very welcome. I just loved your photos - makes me long for one every time I see it! 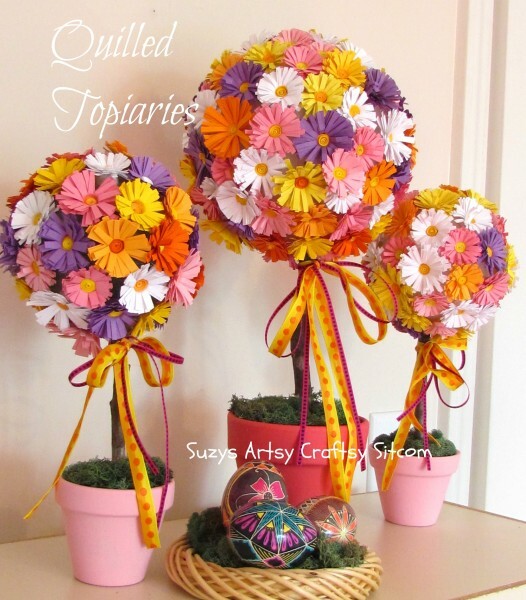 Thank you so much for featuring my quilled topiaries! It is a huge thrill to be featured on your site! Thanks for hosting the party! 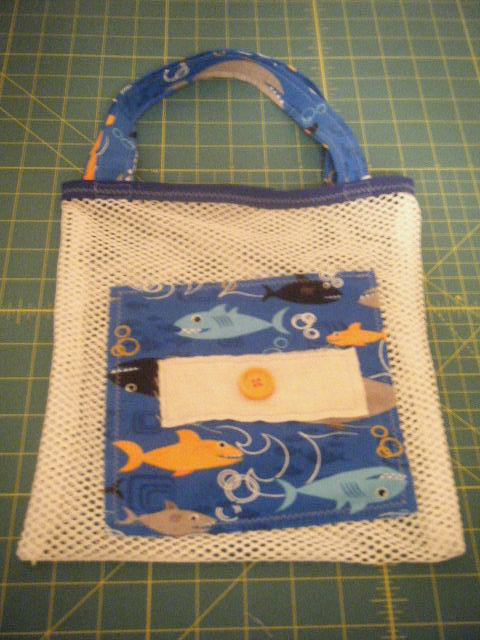 I would love to be considered for the Craftastic Blog of the Week! I linked my Fabric Scraps Wreath (#160).Thanks! Hey Cheryl, thank you for hosting the link party, so nice of you! Hi,I linked up 189 and 190. Thanks for hosting!! Hello and good morning! I linked up healthy, last minute snack that you can whip in minutes-"Hummus Among Us" recipe (#201). It's yummy and it's good for you. Win-win. Thanks for hosting the party once again. Have a great week! Hi there. I am an experienced seamstress and designer but new to blogging - found out this week how to 'grab a button' :-). Would love to be featured on your great blog here. I have linked up no 220 and 221.